There is only you, the cold and all the threats Mother Nature can muster. 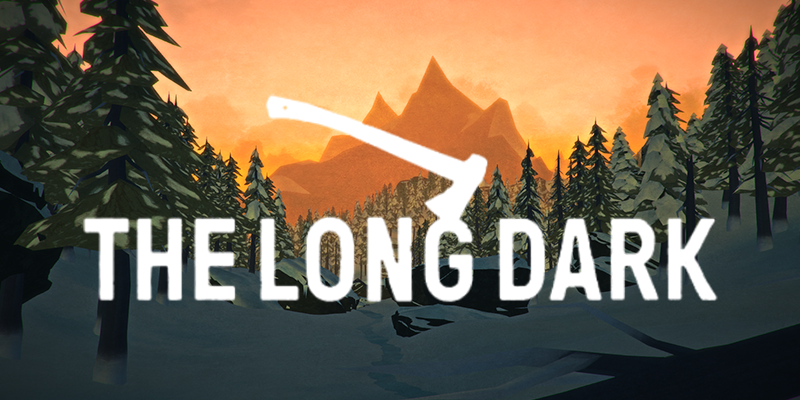 Welcome to The Long Dark, a survival adventure of a special kind. Mckenzie, our Protagonist, was Bush Pilot before the “First Flare” event (a geomagnetic catastrophe that brought modern civilization to its knees) and is now working for the Jackrabbit Remote Transport. One day, his ex-wife Dr. Greenwood visit him, because she urgently needs to be flown to a secluded place called the Great Bear to provide medical care to a very sick person. Despite a strong snowstorm, we let ourselves be persuaded and venture the venture. As expected, not everything goes according to plan and fall after a few kilometers in the wild. Fortunately, we survived the crash slightly injured and wake up in the burning sea of ​​wreckage. Here begins the survival part of the game. First of all, we have to look for accommodation to escape the freezing cold and thus certain death. After some time we find an abandoned house with a fireplace, but we can not make a fire, because unfortunately there is no firewood in the house, so we move again into the cold and quickly find the necessary wood, so we can make a warming fire. Well rested but hungry, we start the next day and start looking for Dr. Greenwood. On the way we meet hungry Wolves, who want to reach us. Now our skill is in demand, how to distract the Wolves the best, so that we can continue on our way. Little by little we learn more about the area in which we are stranded. Everything seems to be extinct, not a soul, and yet we must find some way to help our ex-wife. The notes of the former inhabitants help us to bring us to new places. Also, our craftsmanship is in demand, so we can build weapons later in the game to protect us against the wild animals or to get food. The Long Dark is a mix of adventure game and survival game that puts the player in front of seemingly unsolvable tasks. So the player is provided with a “crafting system”, with which he must create new objects and use them in the game. He also has to take care of his own food in order to be able to supply energy while traveling through the snowy forest. Again and again, there are puzzles to solve, which tell us the story of the “First Flare“, the villages and their people. Let’s get to the technical characteristics of the game. The adventure game is appropriately accompanied by a rather dramatic music. The background noise puts the player in a wintry, sometimes very dangerous environment. The wind blows from all sides, the wood of the trees crunches, wolves howl and in safe rooms we hear the crackling of the warming fire. The sound of the game can be heard. The Graphics are also reminiscent of older Point and Click Adventure from the former adventure company Telltale Games, this studio has absolutely nothing to do with The Long Dark. Maybe the development studio Hinterland had taken the formerly known studio as a model here. However, this is only an assumption, not a fact. To get back to the graphic aspect, this is quite fitting and fits the game. In our opinion, it seems a bit old-fashioned. The level design convinces with the Open World feature, which allows us to decide where we want to go at any time. Whether this makes sense or not, the player learns at the latest when he tries to solve a task that should come later in the game play. That’s how it happens that you’ve run many miles for nothing. However, this is not to be regarded as negative, since you can not do certain tasks in reality even if you have no background knowledge about a thing. Somewhat negative we noticed the linear placement of the “opponents”, so the animals who want to do us harm. For the most part the animals are always in the same positions, this ensures that this can be “freely decided”, something is neglected, and once you have to figure out the way to constantly avoid these animals in the same way. Nevertheless, the open world provides plenty of variety for curious and exploratory players. The Game is controlled via Mouse and Keyboard or Gamepad. The latter only supports Xbox360, Xbox One and the Steam controller. However, it is possible to set your own key assignment, so it should actually be possible to use other Gamepads. This is no guarantee that this will work, as we were unable to test this due to lack of hardware! We played the game classic on the PC with Mouse and Keyboard, as this Control allowed a more direct intervention in the Game. The Mouse is here to look around and to perform action. The Keyboard, on the other hand, is there to move our Player or to get into the various Menus of the Game. This worked perfectly and has no disturbing effects. For whom is The Long Dark? To summarize, it is suitable for any player who likes adventure games and survival games. The combination of both provides a varied gaming experience, allowing the player to spend a few hours. Us from the editorial has fallen The Long Dark and we can recommend this unreservedly.